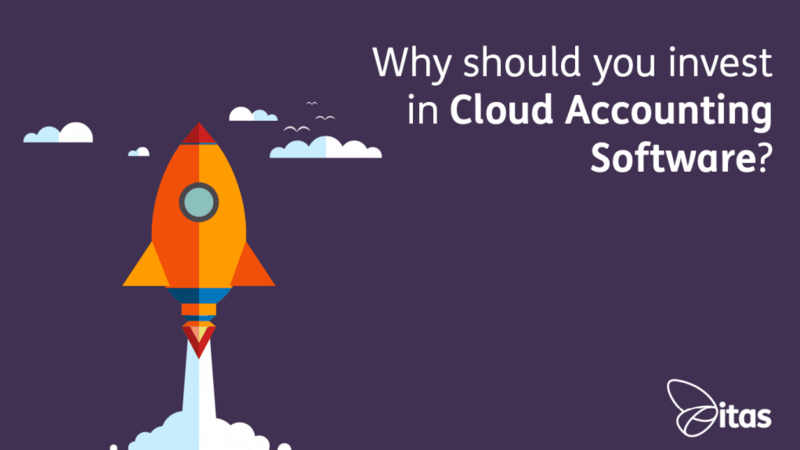 Why should you invest in Cloud Accounting Software? Implementing Cloud based services for company applications is fast becoming the norm. Many software companies now offering online alternatives to On-premise programs. Along with software giants such as Microsoft Office 365 and Adobe Creative Cloud suite, Sage has joined the ranks with the release of Sage 200 Extra Online, the Cloud version of Sage 200 and Sage Financials (formerly known as Sage Live). In short, it’s out with company server rooms and in with paid monthly services. For a discussion on Sage Online vs On-Premise, why not visit our previous article? In this article, I will take a more in depth look into the major benefits of accounting on the Cloud. You’re traveling to see a client a few hundred miles away. After a long journey, you finally arrive, sit down with a cup of tea, ready to rock. But suddenly you make a shock realisation… The important report you need is still sitting on your desktop many miles away. Now, if you were using Sage 200 Extra Online or Sage Financials, you’d be able to “take” everything with you, no matter where you went. As Cloud systems are all essentially stored on the Internet, anywhere you can get access to Google, you can get access to your Sage online accounting system. When you sign up to Sage 200 Extra Online, you are allocated your very own; dedicated server space. This means that your data is being stored with a fully registered and trusted server provider which is always accessible, and responsible. You get 24/7 access to your Sage data through their dedicated servers. Whether you prefer to work the Dolly Parton 9 to 5 or the Count Dracula dusk till dawn, you can! Not only are the servers dedicated, but they have very strict backup procedures. This means that all of your data is being backed up on a regular basis without any member of your staff having to lift a finger. We have previously written about the security issues that have arisen around the Cloud. But with ongoing advances in security, it’s certainly safe to say these fears are not putting companies off. Despite the recent scares and high profile security breaches. Cyber attacks on the cloud are few and far between. It may come as some surprise that for some businesses, saving your data on the Cloud could be safer than saving it On-premise. Also too, just think of the amount of effort your IT department puts in to make your data is secure. This usually includes constant updates and maintenance of the security standards. If you were using Sage 200 Extra Online, your data will be part of Microsoft Windows’ Award-winning Azure Cloud Computing Platform. So your data is protected by one of the world leader’s in security with the highest standards possible. And finally, determining that this has taken far too much time than initially planned. To upscale using Cloud based systems, all you need to do is give your service provider a call, ask for more space, follow a few simple instructions then pay the additional costs. That’s it, job done. Usually within the space of a phone conversation. The ease of scalability is especially handy if your company has seasonal sales. During the busy season you’ll need more server space, so simply call the provider and ask for it. Then when it’s out of season, you’ll no longer need that extra server space. Ring up the provider again to ask them to downscale the server space. The savings that you’ll gain from switching from On-Premise to Online are numerous, so numerous in fact that I could write an entire article on that alone! As a quick whistle-stop tour, let’s consider the server room alone. If your company uses Cloud-based services, in theory, there’s no need to have a server room at all. So this means all related running costs disappear. Not just cost in electricity and housing, but in security, time in updating, man hours and in a whole heap of other areas. All associated costs with servers pretty much vanish too. Including upkeep and staff training. This is but a drop in the ocean, the areas where savings are made has a massive scope. These are just a handful of reasons to implement accounting on the Cloud, and that’s only the beginning. With the way that Cloud is dominating business operations, the traditional On-premise server systems may well be on their way out. For small to medium-sized businesses at the least. Using the migration tools available, transferring your data from Sage 200 On-Premise to a cloud-based Sage system is easily achievable too. But you should be aware that at the moment of writing, some features from On-premise aren’t available with the Online version of Sage 200. So be sure to check with your Sage business partner. If you’d like to talk to someone directly about Sage 200 Extra Online, Sage Financials or migrating from On-Premise and whether its right for you, why not get in contact. We will be happy to advise you on the best option for you. Home » Sage Blog » All Sage Blog Posts » Why should you invest in Cloud Accounting Software?